Saudi Arabia has reiterated its determination “to strike with an iron fist at anyone who tries to compromise the security of the homeland”. 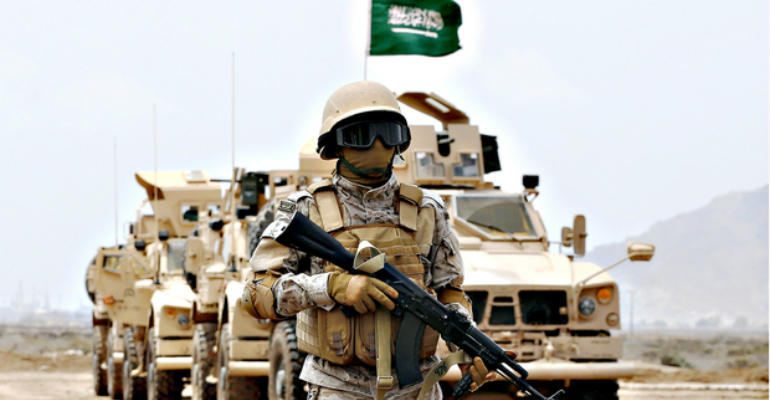 In a recent interview with Saudi TV Ekhbariyah, Special Forces Commander Maj. Gen. Al-Harbi said that the martyred soldiers were carrying out their noble task of defending pilgrims and visitors in Madinah. Al-Harbi’s statement came in the wake of recent terrorist attacks in Madinah, Jeddah and Qatif. “The Special Forces will continue to protect pilgrims as well as visitors. They play a major role in ensuring the safety and security of the Kingdom,” he said. At least four policemen were martyred and five others were critically wounded in Madinah, where a suicide bomber struck in the vicinity of a police post outside the Prophet’s Mosque. The bombings have been condemned by people from all walks of life. Al-Harbi said that in order to ensure lasting security in the Kingdom, security forces are willing to sacrifice, just like the martyrs who sacrificed their lives for a noble cause while performing their duty. Relatives of the martyrs commended the security forces for performing a laudable task, that of protecting the nation from terrorists. “They have put their life on the line to protect the pilgrims as well as the visitors. Some of them died in defending the worshippers at the Prophet’s Mosque,” a statement from the families of the martyrs read. On Wednesday, Crown Prince Mohammed bin Naif, deputy premier and minister of interior, congratulated the families and relatives of the brave martyred security men on the occasion of Eid Al-Fitr.